Comedy actor M.S.Narayana will be essaying a key role in Young Tiger NTR’s ‘Baadshah’ and he has started dubbing for his part. The film’s talkie part is mostly complete and songs are being canned on NTR and Kajal right now. 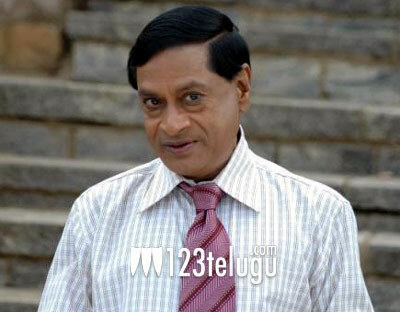 As per the buzz, M.S.Narayana will be seen as a famous film director in ‘Baadshah’. The movie is expected to have a very high comedy quotient and director Sreenu Vaitla’s regular team of Brahmanandam, M.S. Narayana and Jayaprakash Reddy will be a part of the proceedings. Bandla Ganesh is the producer of this movie and Thaman is the music director. The film’s audio album is going to be launched on March 10th in Hyderabad.